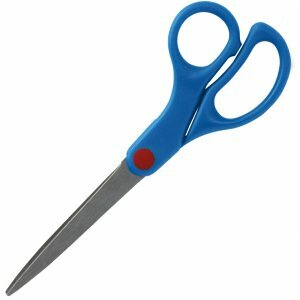 7" scissors are designed for use by kids between 8 to 12 years old. Soft, comfortable straight grip reduces fatigue while making cuts and offers more comfort and control. Stainless steel blades provide durability and deliver precise cuts. Corrosion-resistant blades keep a sharp edge longer. Pointed blades are finely ground for smooth, consistent cutting.